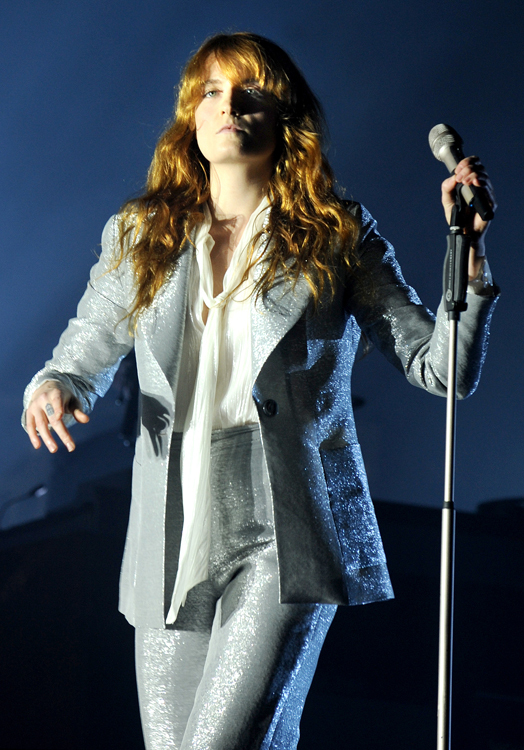 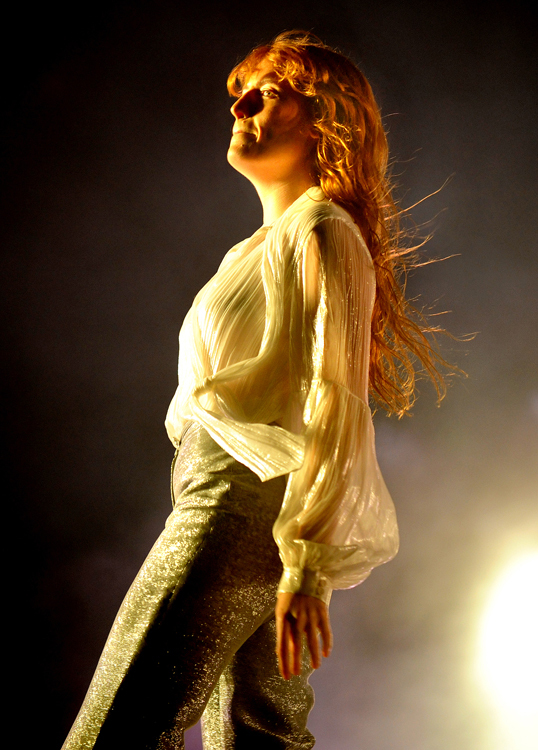 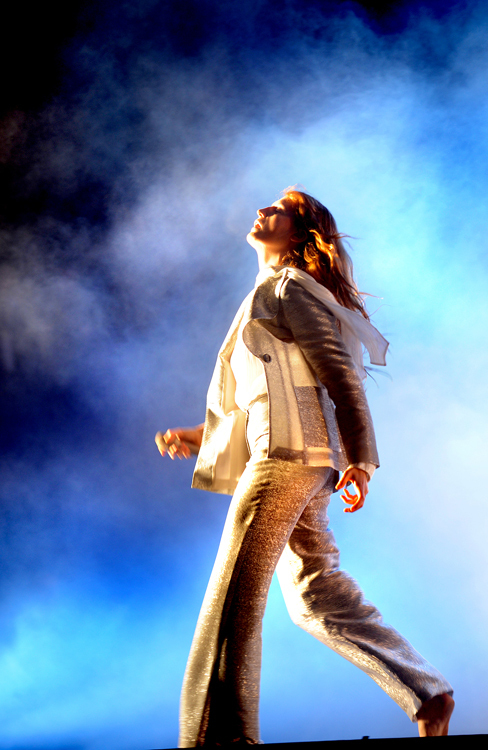 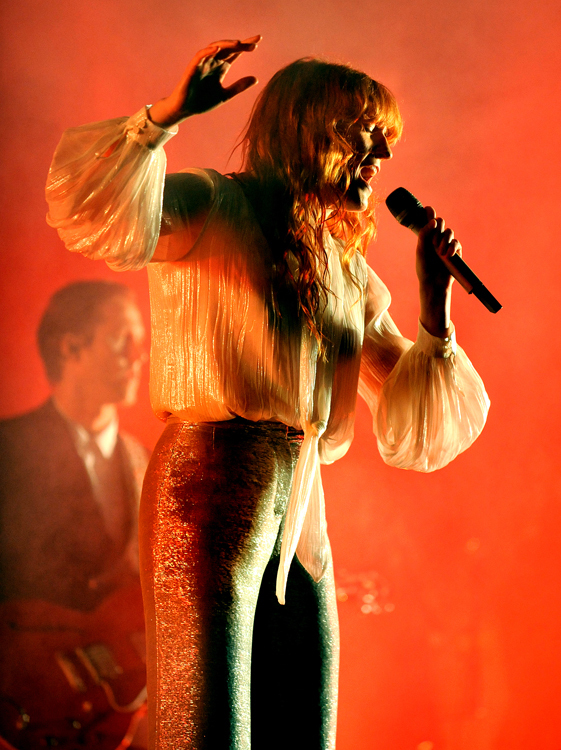 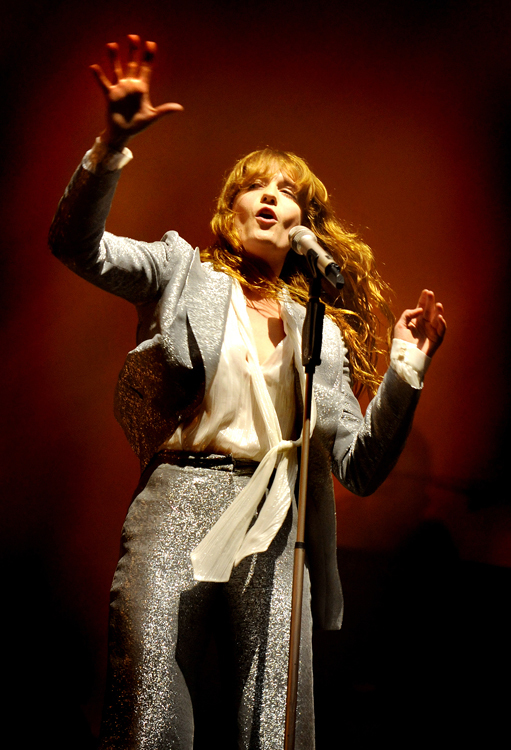 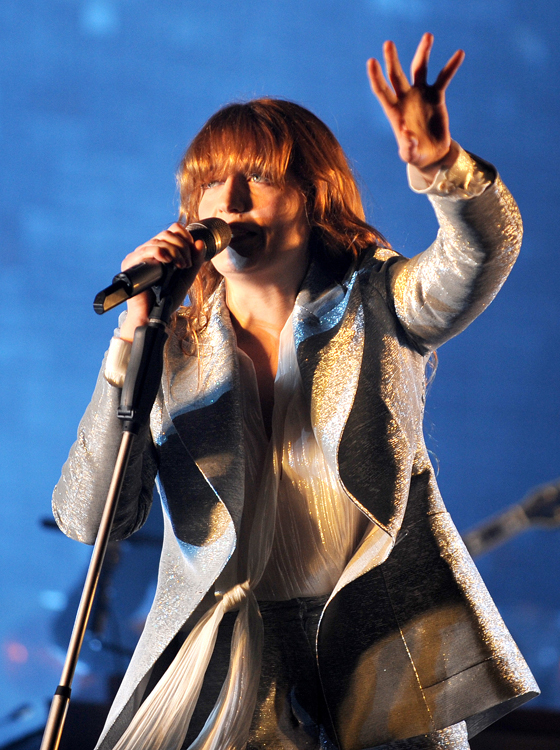 Florence + The Machine stepped up to headline Glastonbury Festival, with an immaculate set on the Pyramid Stage this evening (Friday 26 June, 2015). 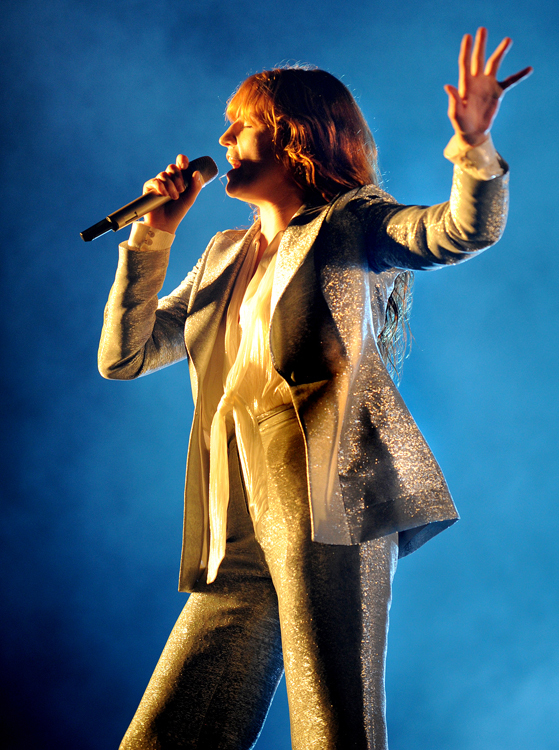 The 'Dog Days' star was originally lined up for the pre-headline slot before Foo Fighters, until Foos frontman Dave Grohl broke his leg at a gig in Sweden earlier this month. 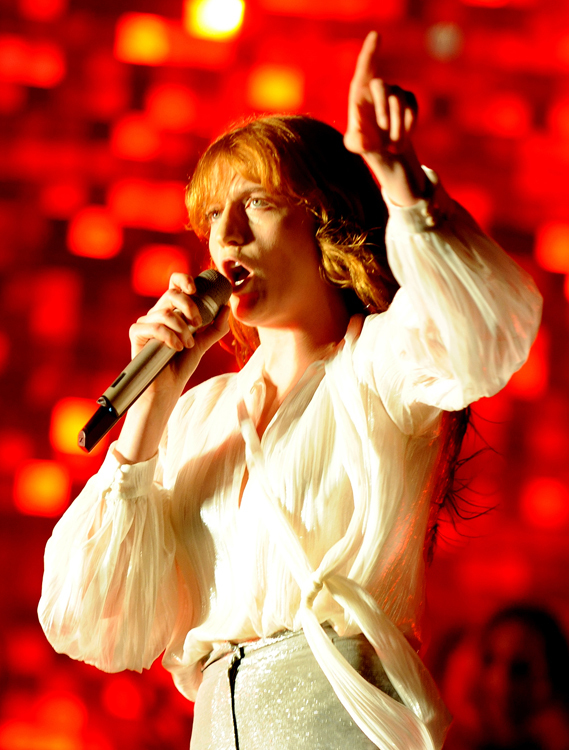 There was a degree of controversy when it was revealed that Flo would be stepping up to replace the Foos, but the Friday of Glastonbury was already one for all time after The Libertines pulled off a brilliant surprise set to warm up. 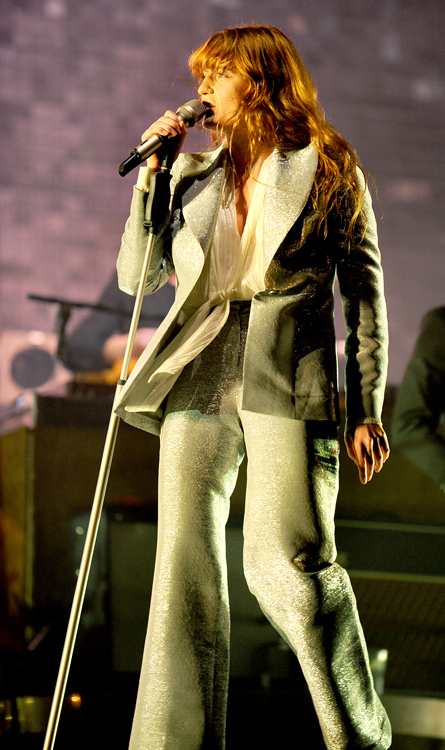 She leaned heavily on her No.1 album How Big, How Blue, How Beautiful with opening tracks 'What The Water Gave Me' and 'Ship To Wreck', before 'Shake It Out' was the first to truly ignite the twilight audience in song. 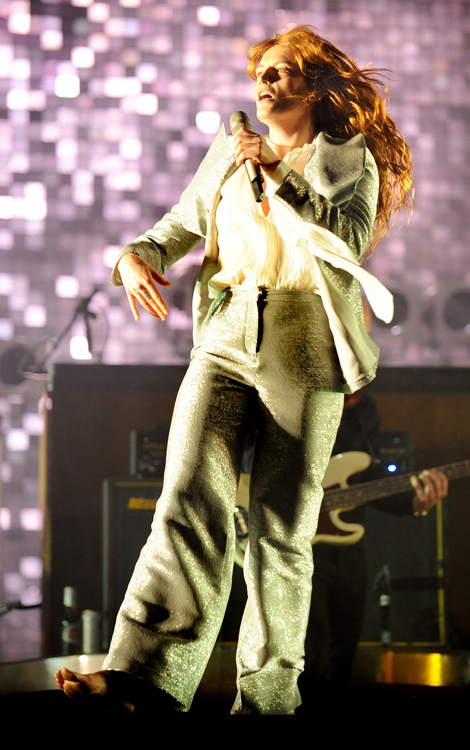 Her rendition of Calvin Harris collaboration 'Sweet Nothing' united the vast main stage crowd in dance, before she paid tribute to the band she'd come to stand in for, dedicating a cover of Foo Fighers 'Times Like These' to the "incredibly kind and supportibve Dave Grohl," adding that she was "so sad to hear that he'd broken his leg", and "sending him love," finishing with "we love you Dave". 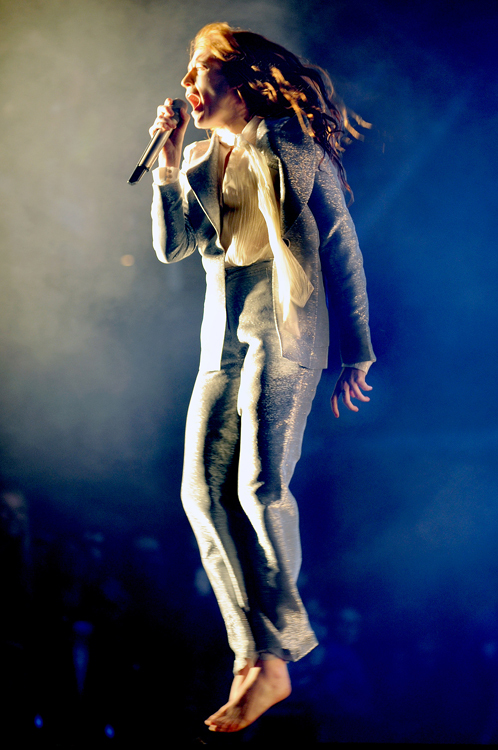 It was a worthy tribute. 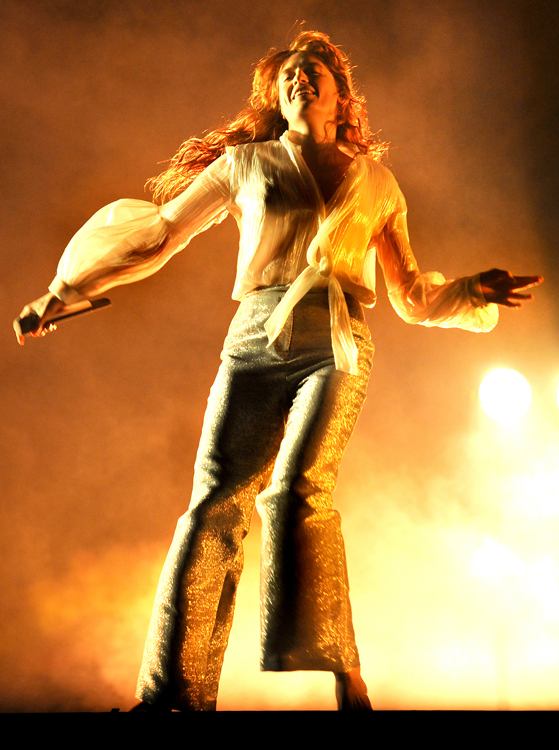 From there on, Welch has the vast, flare-waving crowd eating from the palm of her hand - as she maniacally prowled and twirled the Pyramid Stage barefoot during 'How Big, How Blue, How Beautiful' - it's hard to imagine her as anything but a headliner, and we daresay she'll ever be anything less from here on out.